The Constitution of the Islamic Republic of Pakistan is a clear sign of hypocrisy! The constitution of Pakistan is based on Islam religion and its completely aligned to Qurran. All Muslim countries have similar Islamic roots in their constitution! While there is opposition from people in India for declaring Gita as just a national book, what do they have to say for Islamic constitutions of most Muslim countries? When we read the below glimpse of Pakistan constitution, here is the open question. Where is secularism in constitution of Pakistan and other Muslim countries? In fact, only India has secular principles because of secular nature of Hindus. Following extract from Pakistan Constitution is a chapter which showcases hypocrisy and Islamic alignment of constitution of Pakistan. • A Muslim means a person who believes in the unity and oneness of Allah, in the absolute and unqualified finality of the Prophethood of the Islamic prophet, Muhammad, and does not believe in, or recognize as a prophet or religious reformer, any person who claimed or claims to be a prophet, in any sense of the word or of any description whatsoever, after Muhammad. Effect shall be given to the provisions of clause (1) only in the manner provided in this Part. Nothing in this Part shall affect the personal laws of non-Muslim citizens or their status as citizens. There shall be 597 constituted within a period of ninety days from the commencing day a Council of Islamic Ideology, in this part referred to as the Islamic Council. 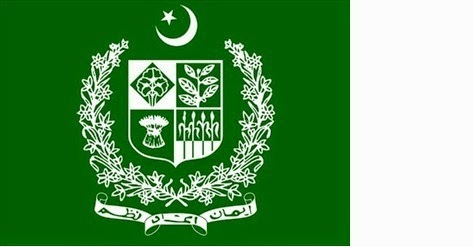 The Islamic Council shall consist of such members, being not less than eight and not more than 20, as the President may appoint from amongst persons having knowledge of the principles and philosophy of Islam as enunciated in the Holy Quran and Sunnah, or understanding of the economic, political, legal or administrative problems of Pakistan. Not less than 599[one-third] 599 of the members are persons each of whom has been engaged, for a period of not less than fifteen years, in Islamic research or instruction; and at least one member is a woman. The President shall appoint one of the members of the Islamic Council to be the Chairman thereof. A member may, by writing under his hand addressed to the President, resign his office or may be removed by the President upon the passing of a resolution for his removal by a majority of the total membership of the Islamic Council. To compile in a suitable form, for the guidance of 603[Majlis-e-Shoora (Parliament)] 603 and the Provincial Assemblies, such Injunctions of Islam as can be given legislative effect. When, under Article 229, a question is referred by a House, a Provincial Assembly, the President or a Governor to the Islamic Council, the Council shall, within fifteen days thereof, inform the House, the Assembly, the President or the Governor, as the case may be, of the period within which the Council expects to be able to furnish that advice. The Islamic Council shall submit its final report within seven years of its appointment, and shall submit an annual interim report. The report, whether interim or final, shall be laid for discussion before both Houses and each Provincial Assembly within six months of its receipt, and Majlis-e-Shoora (Parliament) and the Assembly, after considering the report, shall enact laws in respect thereof within a period of two years of the final report. "Islam is state religion of Bangladesh"
Browse for all other Muslim country constitutions, they all have roots in Islam which is not secular.